Satellite PF Entryway MV Foam Sanitizer | Lafferty Equipment Manufacturing, Inc. 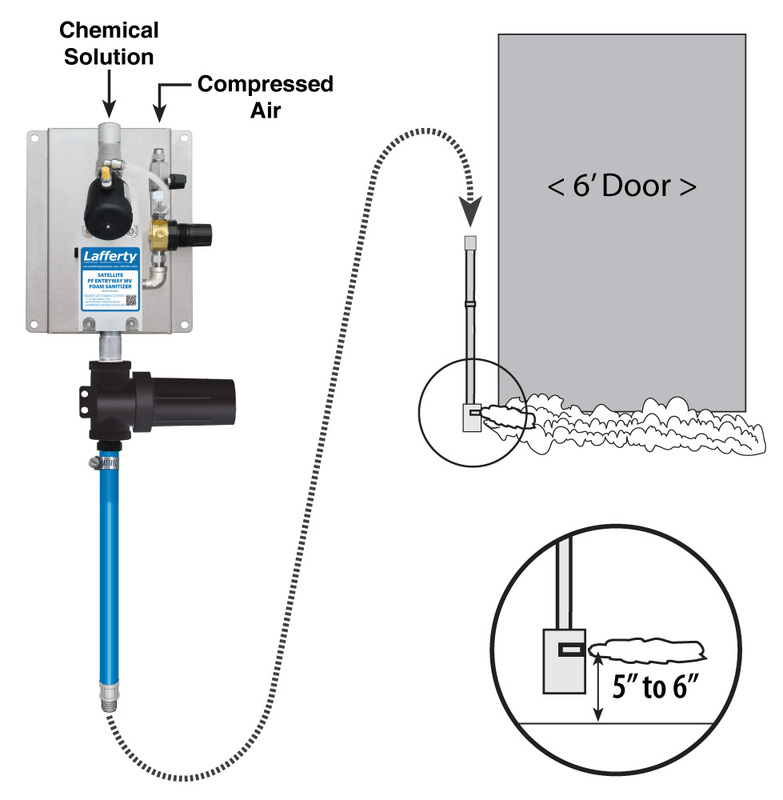 The Pump Fed Satellite Entryway MV Foam Sanitizer is an automated foam applicator for projecting sanitizing chemicals on to floors of 6' wide double doors to prevent cross contamination. When activated, this system is fed with RTU chemical solution from a central chemical feed system. Rich, clinging foam is created by injecting compressed air into the solution to greatly increase volume and coverage ability. Foam is then projected through the discharge hose and MV Spreader™ nozzle. Up to 10 Satellite units are activated and operated by compressed air from a timed Entryway Satellite Controller - no electrical connection is required at the entryway location. All units will activate and deactivate at the same time.